​One art. Two powerful dancers. An unforgettable evening of rhythm and drama. 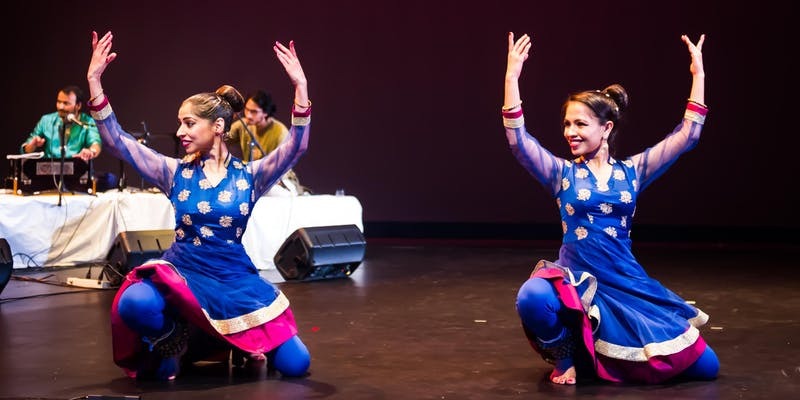 ​With dynamic percussive footwork, lush movements, dramatic storytelling, and brilliant live music, this international ensemble of artists highlights the contemporary relevance of the kathak solo tradition. In this sensational new collaboration, leading Kathak dancers Anjali Nath and Shefali Jain come together with acclaimed musicians from North India. Carrying forward the legacy of Kathak icon Pandit Chitresh Das, VOICE OF KATHAK centers on improvisation (rather than choreography) and the individual artist voice. Chhandika is proud to present this performance, with support from the National Endowment for the Arts.